Top performing cryptocurrencies in April were Tron, EOS and Cardano. While Litecoin, Binance Coin and Monero have shown the slowest recovery. Another month has passed in the world of crypto and it is time to take a look at the winners and losers over the past 30 days. April has generally been a pretty good month for cryptocurrencies with the majority of them recovering from a yearly low on the first of the month. Since the big spike in the first week of January crypto markets have plummeted losing 70% of their value over the following two months. April has been the first month where a possible rebound can be measured though markets are still nowhere near their previous highs. Total crypto market capitalization has grown steadily throughout April from a low of $244 billion on the first to $430 billion at the end of the month. This marks an increase of 76% overall though they are still 48% lower than the $830 billion peak just after New Year. Bitcoin has led the charge with gains of 40% from $6,600 to $9,300 throughout April. Market cap has climbed from $110 billion to $158 billion but BTC’s market dominance has fallen from 45% to 37% indicating that it has been a much better month for altcoins. After falling over 50% in March, Ethereum has made a recovery of 85% in April from $365 on the first to $675 at the end of the month. ETH is back to mid-March levels however it was bearish then but bullish at the end of April. Being one of the biggest losers in March provided an opportunity for traders to snap up ETH at low prices. Ripple has also recovered from lows in early April as XRP traded below $0.50 then and ended the month at $0.85. Over 80% has been gained by XRP and the company has made more significant partnerships so it is only a matter of time before its cryptocurrency is back over a dollar. Bitcoin Cash hit a 2018 low of $635 on April first but had made monumental gains of over 120% by the end of the month. Opponents of BCH had purported the demise of this coin however it has outperformed big brother BTC in April making a significant recovery. EOS has had a blast in April climbing over 215% from around $6 at the beginning of the month to over $19 at the end of it. EOS has surpassed Litecoin to take fifth place in the market cap charts and has made almost 130% gains on Bitcoin ending the month at 200000 satoshis. Cardano, one of the worst performing altcoins in the past two months, finally made some gains in April. ADA gained over 135% over the month from a low of $0.14 on the first to $0.34 at the end of it. The gains have also pushed LTC down the list as Cardano took sixth place by market capacity; against BTC it has made 68%. ADA is still a long way away from its all-time high of $1.30 in early January though. Stellar Lumens has had a very good month climbing 115% from $0.20 at the beginning to $0.43 at the end of April. With a market cap of almost $8 billion XLM remains in the top ten at 8th spot. Gains against BTC have also been strong with 55% up from 3000 to 4660 satoshis. As with Cardano, Stellar is still a long way from its ATH of $0.90, but seems to be showing a strong recovery. Tron was the best performing altcoin in March and it has extended that into April. Starting the month at $0.028 TRX has gained 280% to end it at $0.096, against BTC it is up around 130% from 450 to 1040 satoshis. Love it or hate it, Tron continues to outperform most of the other altcoins and has secured its position in the top ten at 9th spot with a market cap of just over $6 billion. Neo took a beating in March but has managed to claw back some of those losses to end April 87% higher at $86. It is still a long way down from its levels in early 2018 and hit a yearly low of $45 on April 7 marking a loss of 76% from its mid-January ATH of $188. It remains just in the top ten with a market cap of $5.6 billion. 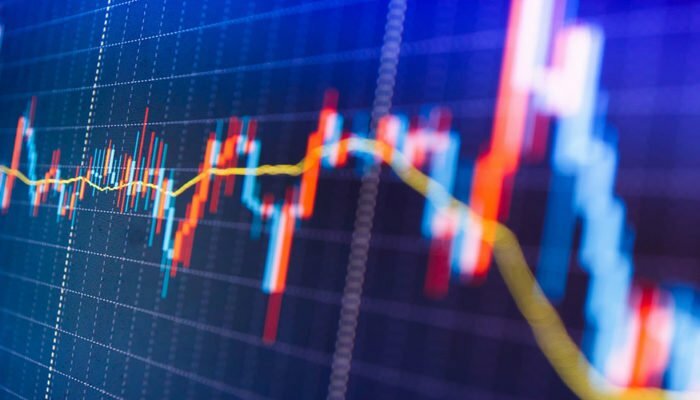 Most of the altcoins have recovered somewhat in April; Iota is up 88%, Dash 65%, Nem 100%, VeChain 106%, ETC 65%, Qtum 75%, OmiseGO 125%, Icon 124%, Lisk 68%, Bitcoin Gold 82%, Nano 64%, and rounding out the top 25 Zcash with a 61% gain on the month. Outside the top 25 big gains have been had in April for Aeternity with 225%, Steem with 170%, Siacoin with 200%, and Ontology with 350%. Since all altcoins have gained in April those with the smallest increases can be considered losers in this instance. Litecoin has always been a slow mover, it has made gains in April but nothing like its brethren. With an April 1 low of $111 LTC ended the month at $150 marking an increase of just 35% which isn’t a lot when other coins are in three figures. There has been no news or momentum to boost Litecoin in April so it has plodded along trying to catch up wit the other altcoins and lost two spots in the market cap charts dropping down to 7th. Monero has also not made the gains expected or in line with other cryptocurrencies. With an increase of around 47% from $166 on the first to $244 at the end of the month it remains slower to recover that other altcoins. Gains against Bitcoin have been very slim, just 3% or so to end the month at 2650000 satoshis. Binance Coin, one of the more resilient altcoins in March, has only managed a gain of 39% in April from $10.4 to $14.5. Maybe because this exchange based asset did not crash as much as the others a slower recovery can be expected. When coins that gain less than 50% can be considered ‘losers’, it has been a very good month for cryptocurrencies all round. With all cryptos taking such a battering in February and March the recovery in April has seen them all make gains, some more than others as we have seen. The next milestone to keep the uptrend and bullish momentum going is the $500 billion total market capitalization level which markets have not seen since mid-February when they were on the way down. To summarize the biggest winners in the top 25 cryptocurrencies in April have been Tron, EOS, and Cardano with Litecoin, BNB and Monero the slowest to recover.